Plate 12. Schweinitz, Lewis David von. Icones fungorum Niskiensium. (ca.) 1798-1802. Contributed in BHL from Botany Libraries, Farlow Reference Library of Cryptogamic Botany, Harvard University. Plate 47. Schweinitz, Lewis David von. Icones fungorum Niskiensium. (ca.) 1798-1802. Contributed in BHL from Botany Libraries, Farlow Reference Library of Cryptogamic Botany, Harvard University. In short, there is little to suggest that this sketchbook is actually an important document in the history of mycological research. The truth, however, is that this volume is the work of the “Father of North American mycology”, Lewis David von Schweinitz (1780-1834). It served him as a sketchbook that was used to inform his monumental Conspectus fungorum in Lusatiae Superioris agro Niskiensi crescentium, e methodo Persooniana (1805), co-authored with Johannes Baptista von Albertini (1769-1831) and documenting over 1,000 species of fungi from the Niesky, Germany region, including 100 published as new-to-science. The volume is also related to a collection of six other original watercolor volumes by Schweinitz dispersed throughout several American institutions. Plate 11. Conspectus fungorum in Lusatiae Superioris agro Niskiensi crescentium, e methodo Persooniana(1805). Figures based on drawings by Schweinitz. Icones fungorum Niskiensium served as a sketchbook to inform this work. Contributed to BHL by the LuEsther T. Mertz Library of The New York Botanical Garden. 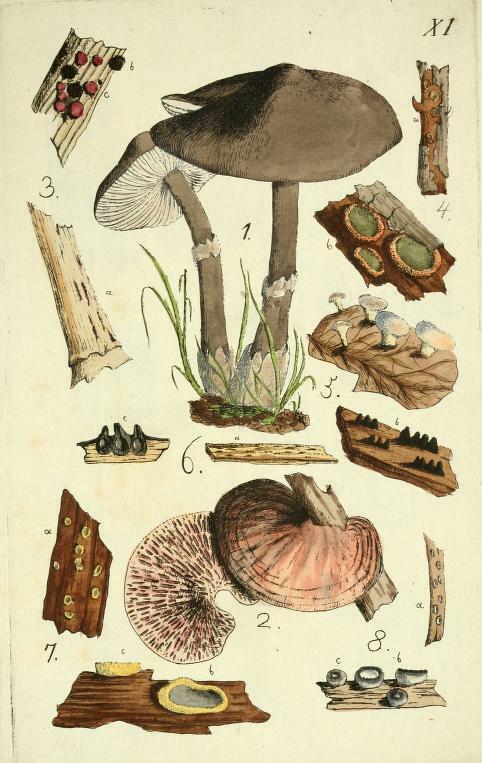 The history of this volume, dubbed the Harvard Icones, and its relationship to the Conspectus and Schweinitz’s other watercolor volumes, was recently examined in-depth within the article “New Light on the Mycological Work of Lewis David von Schweinitz” (2018) by Jason M. Karakehian, William R. Burk and Donald H. Pfister, published in IMA Fungus: 9(1). 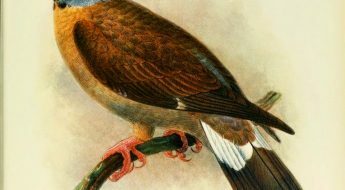 The article presents research made possible in-part thanks to the digital copies of the Harvard Icones and Schweinitz’s other works available in the Biodiversity Heritage Library. We recently explored this fascinating history in our Book of the Month series. The findings presented by Karakehian et al. underscore the importance of the Harvard Icones to the development of Schweinitz and Albertini’s research and the progression of mycology in the early 19th century. Jason M. Karakehian. Master’s degree candidate at the Harvard Extension School. Jason M. Karakehian is a Master’s degree candidate at the Harvard Extension School, studying biology with a focus on mycology and the systematics of ascomycetes or “cup-fungi.” With a background in the visual arts, Karakehian’s interest in mycology stems from his career as an artist, when he began perusing illustrated books on fungi as a creative reference point for his large, outdoor sculptures exhibited in wooded environments. This inspired him to take a short class on fungi, join a local mycological club, and begin collecting and identifying mushrooms. Eventually, he gave up his art career and embraced mycology full-time. Karakehian’s journey down the fungi path includes serving as the archivist for the Boston Mycological Club. The task of organizing the mass of artifacts and documents held by the archives necessitated research at other libraries and archives, such as the Reference Library of the Farlow Herbarium of Cryptogamic Botany at Harvard University. He was welcomed by the Herbarium and Library staff, including Professor Donald Pfister and Judy Warnement (Head Librarian of the Harvard Botany Libraries). 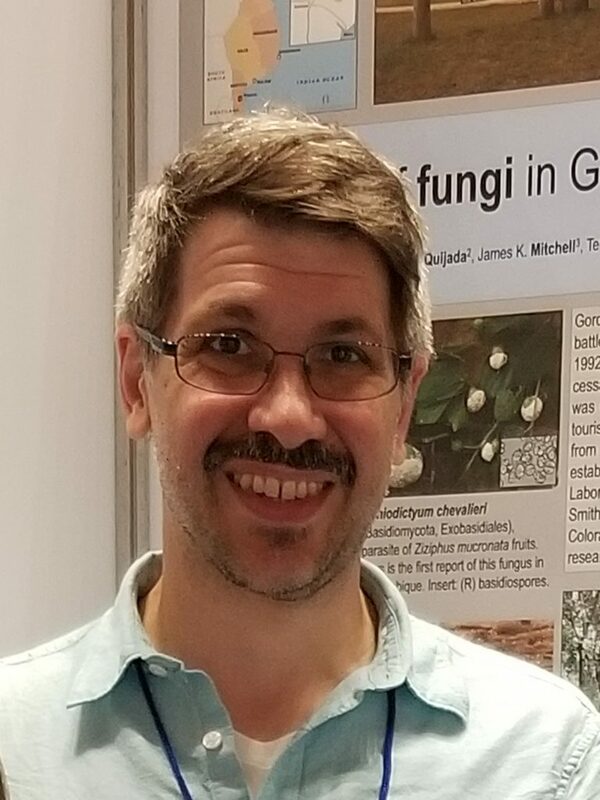 Karakehian’s work at the Boston Mycological Club and the relationships he developed as part of that process led to research on other topics in mycological history, especially Schweinitz’s fungi watercolors. The Biodiversity Heritage Library played an essential role in that research. Plate 23. Schweinitz, Lewis David von. Icones fungorum Niskiensium. (ca.) 1798-1802. Contributed in BHL from Botany Libraries, Farlow Reference Library of Cryptogamic Botany, Harvard University. That research involved indexing the more than 1,000 species treated in the Conspectus and cross-referencing them to the species figured in Schweinitz’s watercolor volumes in order to examine the relationship between the works and understand how the archival materials informed Schweinitz’s research. 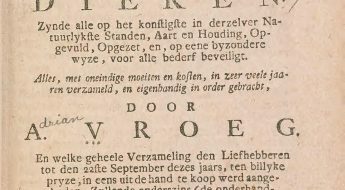 This work required regular access to Schweinitz’s Conspectus and other classic mycological publications, including Christiaan Hendrik Persoon’s Synopsis methodica fungorum (1801), which outlines a systematic framework for fungi that was employed by Schweinitz and Albertini. Karakehian and his colleagues also created an index to the figures in the Harvard Icones, cross-referencing them to their treatment in the Conspectus, Persoon’s Synopsis, and Schweinitz’s six other watercolor volumes. This index was published as part of their IMA Fungus article. Plate 41. Schweinitz, Lewis David von. Icones fungorum Niskiensium. (ca.) 1798-1802. Contributed in BHL from Botany Libraries, Farlow Reference Library of Cryptogamic Botany, Harvard University. For Karakehian, BHL’s impact is about more than just providing online access to materials. It’s the quality of the available materials that really distinguishes BHL from other online repositories. Karakehian and his colleagues were instrumental in advocating for Schweinitz’s archival materials to be made available online and for free to the public through BHL. This not only facilitates future research on these works, but also allows more people to explore and enjoy these archives and the history they represent. Plate 13. Schweinitz, Lewis David von. Icones fungorum Niskiensium. (ca.) 1798-1802. Contributed in BHL from Botany Libraries, Farlow Reference Library of Cryptogamic Botany, Harvard University. We are honored to host a digital copy of the Harvard Icones in BHL, and are grateful to the Botany Libraries, Farlow Reference Library of Cryptogamic Botany, Harvard University for digitizing the volume and making it freely available to the world. We’re also thrilled that Schweinitz’s other archival materials and the Conspectus are freely available in the collection, and extend our sincere thanks to the Library & Archives of the Academy of Natural Sciences of Drexel University, the Wilson Library of the University of North Carolina at Chapel Hill, and the LuEsther T. Mertz Library of The New York Botanical Garden for digitizing these works. 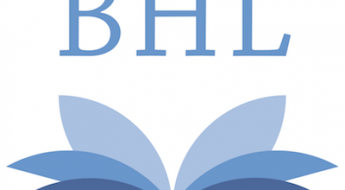 Thanks to these contributions from so many libraries, BHL was able to play a vital role in allowing Karakehian and his colleagues to provide new insight into the contributions of such an important figure in the history of mycology. That “natural beauty” is now freely available for everyone to enjoy through the Biodiversity Heritage Library.